Flaxseed Oil 1000mg is the richest source of omega-3 fatty acid. It also contains healthy quantities of omega-6 and omega-9 fatty acids as well as lignans, an insoluble fiber that will be converted to anti-carcinogenic compounds in our body. 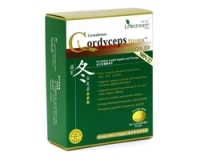 It is ideal for vegetarians who want the benefits of omega-3 without taking fish oil. Not only it helps to support cardiovascular and joint health, it also promotes good digestive health.